In the September 10th post, "It Takes a Village: A Storytelling Experiment Utilizing Social Media" (http://inscribingindustry.blogspot.com/2014/09/it-takes-village-storytelling.html), you read about the origins of our thrilling Twitter Tales activity, its participants and saw 23 of its posts. Now, you will read about the dynamic visual arts component involving the digital collage site of Polyvore (a social community with users spanning the globe and as of May 2014, about 20 million unique visitors each month). A contest was held between two art groups for two weeks, during which time artistically inclined users were encouraged to create art sets inspired by the first eleven individual Twitter posts from the story. The idea was simple. We had our wonderful group of emerging and established authors, skilled storytellers, instructors and professionals that had generated the words, the engaging content from the 1st eleven posts. Having been on Polyvore for a number of years, I knew of the immense, diverse artistic talents of users, their incredible abilities for allegory and creative, soulful interpretation. 1+1=WOW. Yet we, I, couldn't have anticipated how amazing the results would be. The results from this synergistic combination of talented writers and amazing artists were nothing short of awe-inspiring and the reaction from entrants around the world was profound. Well over 100 Polyvore art sets were entered with enthusiasm, creative passion, emotion and dedication. Contest entrants chose individual posts that resonated with them and created artistic digital collages based on the words. We had a number of instances where entrants ended up making one set for each post. They created powerful imagery that brought our story to new life through varied perspectives across continents and age demographics, showing the significance of unity—art and words, writers and artists, creative mediums and people combined. You'll get to read more about the activity and some of the participating writers' great reactions to the art component in upcoming posts. What you will see below are listed winning contest entrants with links to their winning sets (we also plan to have separate blog posts with slideshows of the sets). Some entrants have provided statements/quotes or replies to questions about the activity. The two groups the contest ran in were The Creative Coaltion and Words in Art. Deep gratitude is extended to group moderator, Jennifer Glass Wright (@colbysma) for the use of the groups during the two week period, her assistance, enthusiasm, support, time and insight. The sets were carefully judged according to how they reflected the posts they corresponded to. It was a terribly difficult task to do the judging. There were so many fabulous works of art made! In each group, there would typically be one set chosen to represent each individual Twitter post. As there are 12 winners to a group and there were only 11 posts to choose from, there were a few posts that had two winning sets. Again, sets from the two different groups were chosen based on how we felt they best illustrated the words of the individual posts (not limited to style or literal interpretation). We honor all of the entrants and also have collections of other entries we admired. Enjoy reading the perspectives of our winners and seeing their work! "My art is formed predominantly by the natural world along with fantasies of possibility." 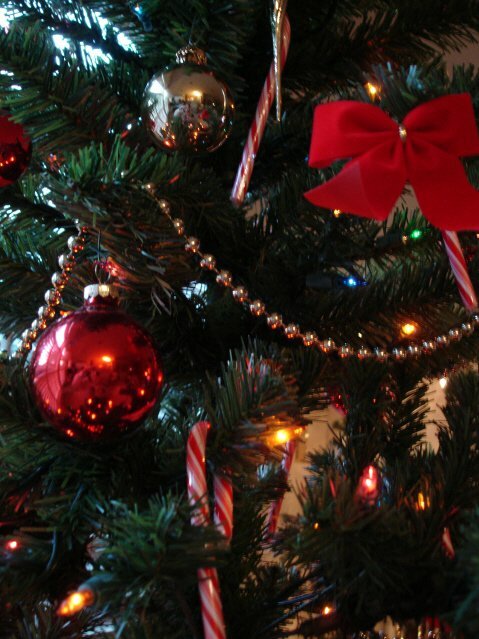 ~How did you find this contest to be unique in comparison to other contests? The writer's sentences stimulated a creative interpretation, unlike contests where the subject matter is named and defined. ~What did you enjoy most about the concept of being inspired by the words to make art sets that represented your interpretations of what you read? Most of the writings were scintillating suggestions of a plot. The most attractive ones remained abstract, giving the artist full creative license. ~Did you feel more invested/interested in the story and what happens in it by being able to participate/respond to it through art? literature and art in the manner you suggest. ~Would you like to see/enter more contests like this? Yes! I think this was stimulating for the artists as a group. "What a fascinating concept. You gave us all a reason to think out of the box and create such interesting sets. I'm proud to have my entries in this collection. As I said before, this was a most interesting, intelligent and challenging contest. This story is getting very exciting. I can't wait to read more and see the fusion of art and literature!" 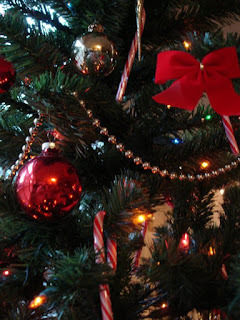 ~How did you find the contest to be unique in comparison to other contests? I thought the integration of the polyvore contest and results [winners] being included in The Write Place such a great innovation. This concept has made being on Polyvore and creating, in my case many years (six), a validation of all that I have done here. I feel like I am being acknowledged for the creations I have made. Thank you for that!!! ~What did you enjoy most about the concept of being inspired by the words to make art sets that represented your interpretation of what you read? Trying to make the visual fit the words in an abstract way without being completely literal. That was a real challenge to me, being the traditionalist that I am. Yes. I love to read books and magazine articles, but sometimes when I'm reading instructions, manuals, etc. I tend to skip over much of the text. In this case, I had to actually read the entire excerpts to know how to proceed with the artwork. So, yes, I was more invested. ~Are you interested in following this story to read more of it and/or learn more about the writers? Yes, I'd love to see how it ends. And, of course, would love to know more about the writers. "This was one of the most interesting contests--what a fantastic adventure. I'm very happy I had time to take the challenge." I love words, I love to read and I'm amazed about how different people can visualise events, places and characters out of a novel or a short story in so many different manners. I loved this contest because it allowed us to express and materialise what the words put into our minds. I loved that I had to pick up clues out of the texts to guess about the characters, environment, era, country, etc... I loved the fact the story took place in these interwar years, sending us to the golden age of detective stories and Hollywood film noirs. Yes, probably because for once I was allowed to express what this text evoked to me in a visual way, and collage is a very specific means of expression. You have to cope with what you find to express yourself; it is not like when you are able to draw or paint exactly what you have in mind. ~Are you interested in following this story to read more of it? I'd love to know what happened to Mark, indeed, and learn more about these women in the story. "I enjoyed the challenge very much and I like the new postings of the story on Twitter." "I'm an artist, poetry writer and art teacher for kids. Ever since I was five I have painted, drawn and used my gifts in art for others." "Let me just say how honored I was to be a part of such a beautiful undertaking; thank you for your soul-wrenching effort putting together such a heart and soul gripping work readers will be transported in. When I first came upon the contest, I thought now there it is...all of my polyvore art is 'a picture worth a thousands words,' if you only spend the time to see the hidden meanings. I have always been told my art is a picture with many stories, but to illustrate others' work was an incredible experience." This contest tied into the notion all art is based upon; a picture being worth a thousand words and illustrating a story; but it came alive through the illustrations, extrapolations and interpretations of others. In essence we got to peek into the minds of others as we all interpreted the same written words. This contest was both powerful and gripping! For me personally, most of my work is inspired by music, which is a series of lyrics on a page. Likewise I was inspired by the words of the story for the same reason—they were powerful and heart-gripping and I wanted to illustrate the story because I felt connected to it. ~Do you feel that written works are made more powerful by being combined with visual art? Definitely, ALWAYS! The more senses one can capture the better! Adding a visual component to TwitterTales made them come more alive! Art breathed more life into those literary words and gave them wings to fly in our imaginations. The writing hooks you in and of itself, but the art takes you to a whole new level and it becomes more alive. I would have been interested and invested either way. "The contest was unique and challenging. I have it heard said,'that a picture speaks a thousand words'! Written works are made more powerful when visual art is added. I would like to see more contests like this." "I'm a science teacher at a boarding school, looking for artistic outlets wherever I can find them." The challenge of working with someone else's story appealed to me, merging two art forms. The words were vivid, yet mysterious, since I didn't know the entire story. I still love illustrated books. Maira Kalman and Peter Mendelsund have the right idea. "This was the opposite of how I create so it was a bit difficult, however looking back, I had a great time. It was a learning experience and challenge that I appreciated the opportunity to be a part of with all my Polyvore artist community members." This contest was unique in comparison to other contests by the fact we were given prompts about what we needed to portray in our sets. A story. Most contests do not have a narrative that continues as you create. The parameters of most contests involve using colors, a designer, an emotion, or express a particular event, feeling or sentiment. We had words to use specifically and I enjoyed trying to incorporate these words with the images by using everyday objects to mesh the words into the piece, like visual metaphors. Depending on the story, what medium, what media, and how it's presented. I have been involved with artists who have asked me to create art for poetry written specifically for the art piece. Yes, I felt responsible for giving the readers an idea of what is happening by my work of art. "By day I am a freelance editor, but my real passion is art & art history. I do consider myself an amateur artist who dabbles in a variety of mediums including: poetry, photography, collage, mixed media (a la Polyvore). I feel most alive when I am creating and feel like I am wasting away if I don't express myself artistically in some form or another every day." ~How did you find this contest to be unique? I liked trying to come up with a set that conveyed a few words and make it interesting and artistic, keeping true to the writer's intent while staying true to my own artistic vision & aesthetic. So that it's simultaneously theirs & mine, if that makes sense. "I'm a 40-something woman who believes in possibilities. A woman who has seen, for herself, that fate can pluck you up from one circumstance and plunk you right down in the middle of your heart's desire. If only you believe." "I'm drawn to art because I think it's a unifying medium. When we look at a piece of art that speaks to us, we are not only seeing into the soul of the artist, but into our own, as well. We are all humans, struggling on our dark days and basking in the light of our good days. Art, more than anything else, in my opinion, can reflect the vast array of emotions that each and every one of us experience. The result? We know we aren't alone in the human condition. Someone else feels what we feel, sees what we see and has put it out there for ALL of us. However, I found that the story came alive to me (due to the intriguing plot and brilliant contributions to the story-line) and so I needn't have worried--it just came about naturally :) Thank you for this opportunity to grow, learn and express myself." I found that having a story already evolving was an entirely unique experience. With other contests, you have a theme or idea to leap from, but in this contest, you were drawing from someone else's imagination, so to speak. I found myself hoping that my set would reflect how that particular writer saw that scene in his or her own mind. Yes, I do. Some people prefer to be free to visualize the story in their own way, but others are benefited by visual aids, which results in their being drawn more deeply into the story. Yes, I'd love to follow it and intend to. I would also very much enjoy learning more about the writers. "I found it a great pleasure to participate in the contest. To be honest, I loved every minute creating for this contest and I could do it all over again. I find art very relaxing, it's like speaking without actually saying anything, you can express so much through art. Creating art to go with a story had me creating for hours to try and get the perfect theme to go with the words; it's like when you're reading a favorite novel... You always create the pictures and characters in your head. I really can't express how much I enjoyed taking part. I had so much enthusiasm, once I started I couldn't stop. It's amazing how many creations you can actually come up with for a few words..."
I felt you had more variation than it being a certain theme; having the words to go by in the creation made it feel like my own little movie in pictures. Yes, I found the story very interesting. Would love to read more of it, and it would be great to learn about the writers. "I'm a 50 something year old woman who was able to legally marry the woman I love last May. I love to restore furniture, write (poetry, poems & stories), photography and of course Polyvore." I found the competition unique because it made me think of the writer and how I might interpret their words. That was something different and challenging. What I enjoyed most about the competition was that there were so many different kinds of ways you could do a set to interpret the words. Refreshing!!! I hadn't really thought about it before, but with this competition, when I saw all the different kinds of ways the words were interpreted by people's sets, I was amazed; and I do now believe that in this case, the pictures (sets) did make the words more potent and delivered the messages well. In a strange way I did feel more invested in the storyline. Maybe because I had the chance to participate and therefore felt more invested. I have looked in on the story a number of times checking where and how the story line was progressing. Thanks for a unique and most enjoyable, not to mention challenging, endeavor. "The illustrations can enhance the author's vision. The words become clearer...the focus stronger. Gives a delightful added touch." Divining the Prime Meridian~ Second Book Giveaway of the Season! Our first book giveaway of the season heralded the arrival of the Art & Soul issue, kicking off its theme, spurring written discussion of art. This second giveaway, following the issue's release, involves discovery, observations and the sharing of perspectives. 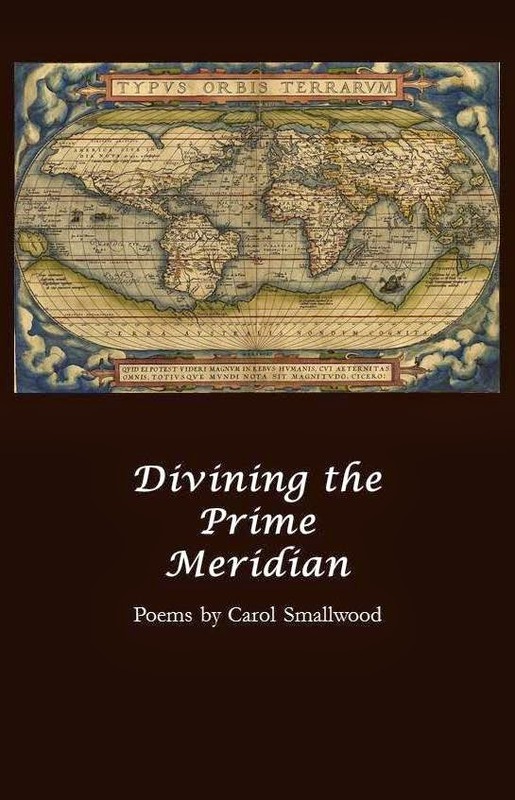 Divining the Prime Meridian, the latest poetry collection by Carol Smallwood, looks at the world through the poet's perspective, interchanging lenses to view everything from the seemingly small, intimate everyday facets, to the larger natural, geographic scopes. The collection includes seventy-five free verse and formal poems. These are divided into the following sections: Domestic Life, The Natural World, Health and Welfare, Geography, The Mental Realm, Cities, Seasons. With a substantial span of subjects, the poetry often seeks to elevate the mundane through the poet's attached significance and insight. Her poem, "Diaries" captures the need to pin down thoughts, the simulated sense of control attainable on the blank, unlined page. Other poems elevate heavy subject matter with vivid imagery and a steadying sense of the tangible. For this book giveaway, we ask you to discover, observe and share your personal insights/perspectives regarding the Art & Soul issue. As we've ventured to the edge of the map in uncharted territory with this issue, we want you to divine the significance of its elements as pertaining to you. You may comment below or send us a message via our feedback form on the Feedback & Questions page of the website about what facets (whether stories or poems you could relate to your life experiences, essays/interviews/art that inspired) spoke to you. We've already received great insights in the past few weeks and through the giveaway, we encourage more! The winner's name will be randomly drawn from amongst sent in and posted comments received within the next three weeks. We will then contact the winner and have the book sent to them.